Eye makeup is my favorite makeup. I own eyeshadow and eyeliner in practically every color of the rainbow. It is easily the largest part of my makeup collection - I have entire DRAWERS devoted eye makeup. Eye makeup is how I really love to play. That said, it can be easy to get overwhelmed and get carried away. 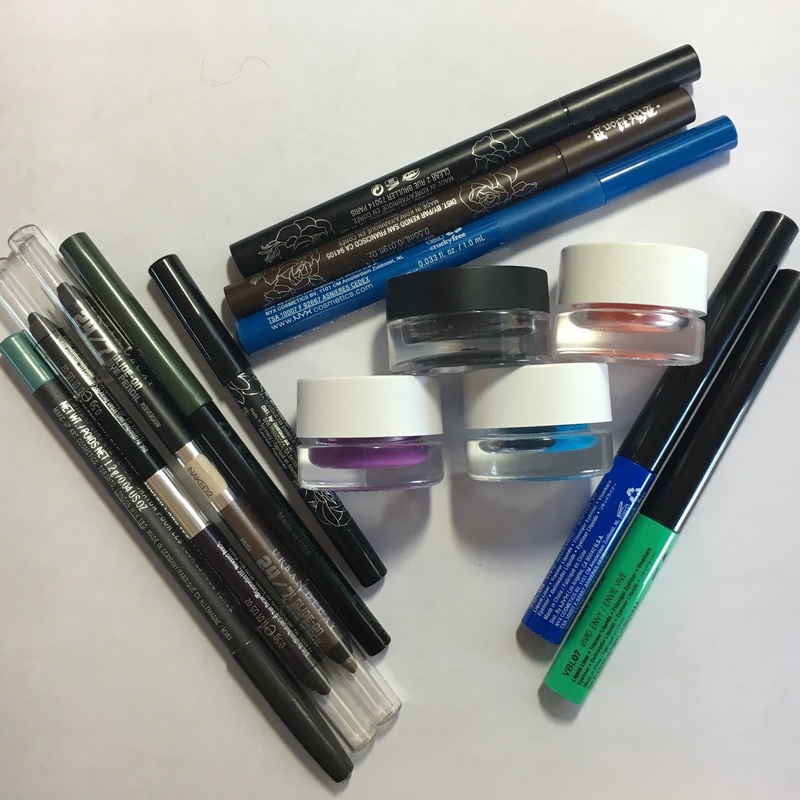 This post is intended to give you ideas for a basic starter kit, but just know that the sky's the limit, and if you feel comfortable with experimenting with crazy colors or cutting-edge products, you should go for it! Primer is the glue that holds everything together. While it is true that a good eyeshadow should be pigmented and long-lasting enough to work without primer, a good primer will make your eyeshadow just THAT much better. It is an extra step, but it's a pretty vital extra step. The good news is that you have a lot of options. 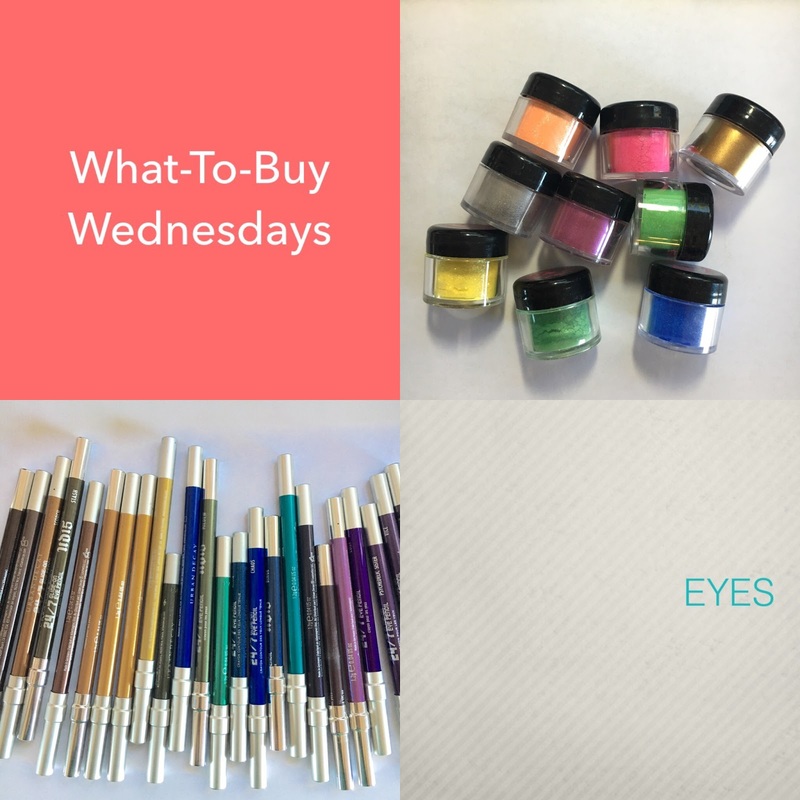 There are a TON of eye primers on the market, and in addition, you can also use eye pencils (like, color all over your lid and blend), cream shadows, or even concealer - each one will give you varying results and effects. If you have room for another one and you want to play with colors, then I would next recommend getting a matte white base, especially if you are not pale - a white primer will really make those colors apply true to pan and pop against your skin. And if you happen to love sparkles, get a glitter primer - they're usually thicker and stickier, so they're not so good for blending, but they will help the glitter stay where you put them, instead of migrating all over your face. Urban Decay Eyeshadow Primer Potion in Original - this is my holy grail of primers. I've used this for YEARS. One tube will pretty much last you forever - I've rarely had to buy my own because I keep getting deluxe sample/travel-sized tubes with other purchases, and even those smaller ones last for MONTHS. 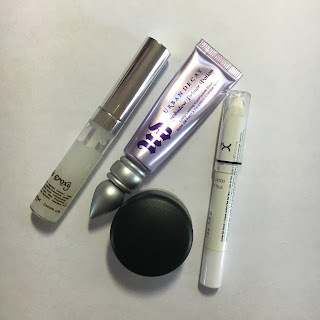 NYX Jumbo Eye Pencil in Milk - this is my holy grail white base. Alternatively, you could also buy their Eyeshadow Base in White; it's like the same thing, but in pot form instead of pencil. MAC Pro Longwear Paint Pots - These are pretty much just cream shadows, but with amazing staying powder. They work well as a primer (I use Soft Ochre) or you can just wear them alone as eyeshadow. Good for those days when you're crunched for time. It'll not only give you an idea of how the colors look against your skin, but it'll also give you an idea of how pigmented and blendable the eyeshadow is. You want eyeshadows that are smooth and buttery in texture, and you don't want to have to work too hard or apply too much to get it to look on your arm how it appears in the pan. And then a whole mess of colors of varying shades and textures to play with :) Shimmer, matte, satin, glitter... have fun with it! I do recommend that you start out with a good basic selection of neutrals, particularly if your job tends to be a little more conservative about appearances. A good neutral palette will serve you well in any situation - work or play, day or night. In general, palettes are a good way to go, and I find that I very rarely buy eyeshadow singles anymore. They're often a better value than buying a bunch of singles, and they're a good way to sample a bunch of colors from the same brand, even if the eyeshadows in the palette are smaller than that brand's full-sized eyeshadow single. (In some cases, you actually get a bunch of full-sized eyeshadows in the palette for a much cheaper price!) I don't think I've ever, EVER used up an entire full-sized eyeshadow, so it's no big deal if the palette's pans are smaller. You can even build your own palette - some brands have their own palette system (like MUFE, Inglot, and Urban Decay), and many brands sell their eyeshadows in just the pans, with the intention that you will put them into your own magnetic palette, and the pans are cheaper than if you bought the actual eyeshadow single - for example, MAC's Pro Palette Refill Pans are $6 compared to $16 if you bought a regular eyeshadow (and yes, you get the same color selection). 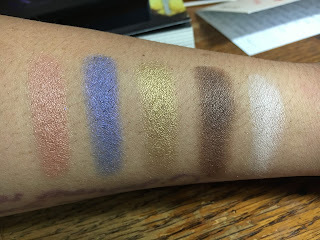 Every brand has their hits and misses in terms of individual shade quality, but in general, my favorite eyeshadows are from: Urban Decay, Kat Von D, MAC, Sugarpill, and ColourPop (which are actually more cream than powder). Urban Decay's Naked palettes - all of them are great. In fact, I reach for the Naked Basics and Naked 2 Basics the MOST, because I use them for my highlight/transition/blending shades, and then I throw on a crazy lid color. ANY of Urban Decay's palettes, really. In case you couldn't tell from my blog, I'm a UD fangirl. And if you're interested in buying pans/depotting, I am a big fan of Z-Palette magnetic palettes. 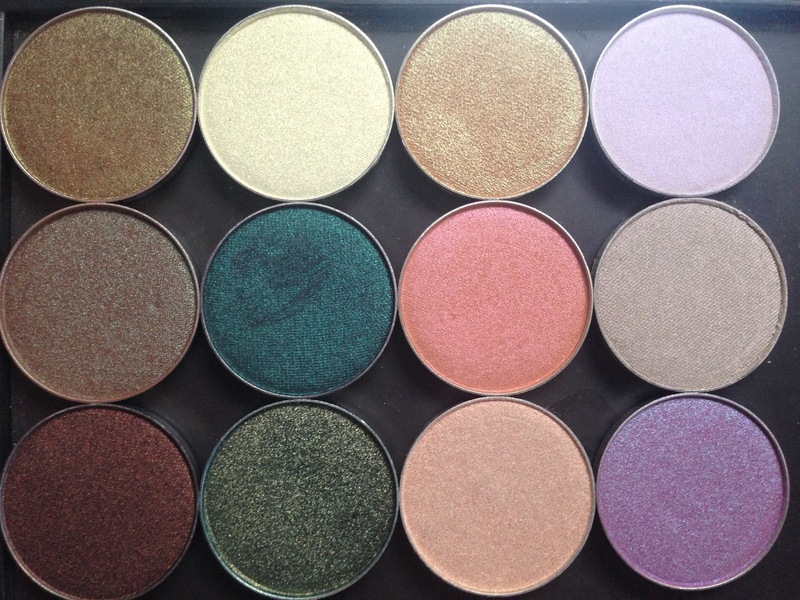 Basically, there are LOTS of good eyeshadows to be found. But if you can only buy just ONE thing, buy a good neutrals palette. Putting on eyeliner is like highlighting sentences in a book - eyeliner makes your eyes more striking. Since it's worn close to the lashline or even along the waterline, you want one that is long-lasting, doesn't smear or smudge, and won't irritate your eyes. As I said before, I have eyeliner in nearly every single color you can find, but the ones I reach for most are my basic black and brown. They are absolute staple colors to have, and they are colors that every person should start with. - Pencil, which for most people is the easiest to use. You get the most control, and you can generally smudge out the edges if you didn't quite draw a straight line. But it's hard to get a sharp, crisp line unless you sharpen it CONSTANTLY (which means that you'll lose some product), and sometimes it takes a few passes to build up the color. - Liquid, which for many people is the most difficult to use. You get a sharp, crisp, dramatic line (because it also applies opaque), but you can't smudge it. Depending on the applicator, it can be hard to control. You can buy liquid liner with a pen tip (my preference) or in a little bottle/tube with a brush tip. - Gel or creme, which is in my opinion, a happy medium between pencil and liquid. It usually comes in a pot and is applied with an eyeliner brush, so you get a little better control, and you can get a good dramatic line pretty easily, but you could also smudge it if you wanted to. Eyeliner takes practice. There is no easy path to eyeliner perfection, but if you're wearing it day after day, you will improve quickly. It also takes a good familiarity with your own eye shape - you really cannot look at a picture of another person and hope to replicate their eyeliner perfectly, because your eyes are different. You can do a similar style, but it won't be exactly the same. By the way, in general, stick to mattes for your waterline. Some people can wear a little shimmer there without irritating their eyes, but mattes are the safe bet. Definitely do NOT use glitter. If I had to keep ONE eyeliner, just ONE out of my entire stash, I would keep my Kat Von D Tattoo Liner in Trooper. (Though I do also have it in Mad Max Brown.) It is my holy grail eyeliner. My favorite pencils are Urban Decay's 24/7 Glide-On Eye Pencils. I have nearly every color they've ever made (except for maybe five or so - I don't own their Waterline pencils). Around the holidays, they tend to release value sets with smaller-sized versions, and these are generally a pretty good value. However, I should note that I have gone through multiple pencils in Zero (which is their basic matte black) - it's my favorite black to use in my waterline. They are soft and creamy. I've heard great things about Lancome's Drama Liqui-Pencils, though I've only ever tried it in one color. That one color DID. NOT. BUDGE. Same with my Marc Jacobs Fineliner Ultra-Skinny Gel Eye Crayon Eyeliner. This is also a good waterline pencil, and it's a teeny tiny tip. I have one of every color of Maybelline's Lasting Drama Gel Eyeliner. The little brush they give you with it isn't too bad! If you want some attention-getting eyes, try NYX Vivid Brights Eyeliner. That blue is retina-scorching, and for a non-pen liquid liner, it's not too difficult to use. 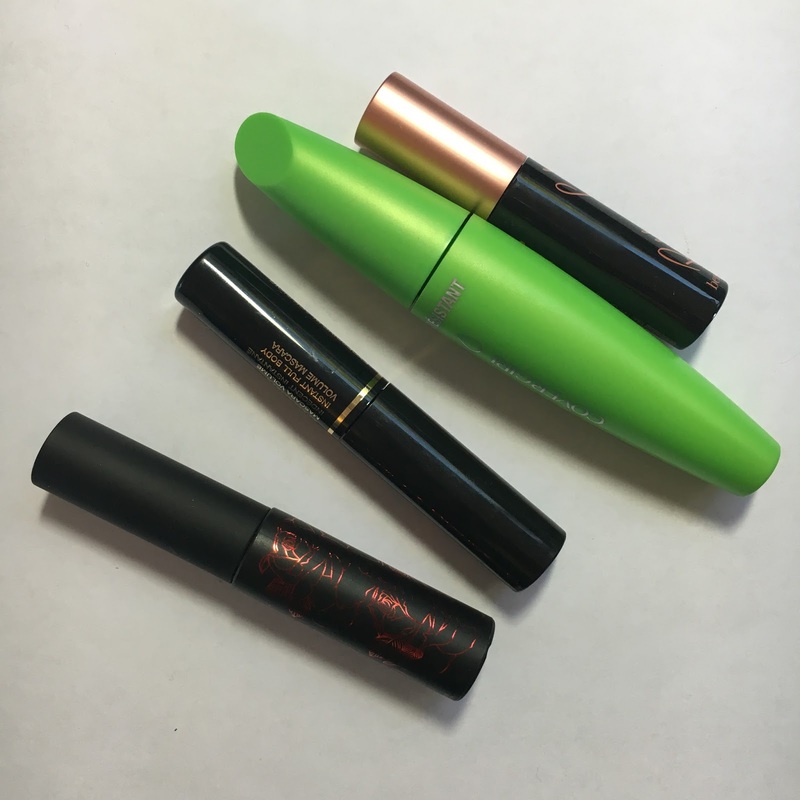 You may have noticed that I have a general preference for high-end products, but mascara is one thing that I don't like paying a lot of money for. Conventional wisdom states that you should toss your mascara every three months - while I will generally keep other things longer than their recommended timeframe, mascara is one thing I won't take a chance on, because it's pretty much impossible to sanitize and my eyes are really sensitive to infection. So, there's no way I will spend twenty-something dollars on something that I will HAVE to throw out every three months, unless it's really, really spectacular and special, which, let's face it, most high-end mascaras are not. They are GOOD mascaras, but they aren't special, in most cases. So my own personal preference is to either buy drugstore mascaras (which are really pretty good!) or travel-sized versions of the high-end stuff, which are smaller, yes, but still more than I will use up in three months. Find a kind that suits your needs - volume, definition, curling, or all three, regular or waterproof - and go to town. Do you NEED a lash primer? Or a lash curler? Or false lashes? Nope. They are fun to have, and they have their uses, but again, for a basic starter kit, you're good with just a tube of mascara. But something that I have started doing lately is to kind of tame them a little - sometimes they are unruly, the hairs sticking every which way, so I at least try to make sure that they are all going in the same direction and that they stay there. 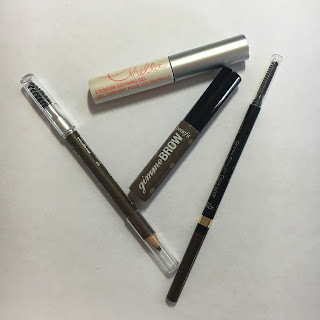 If you want a little more, I recommend a brow pencil (one that has a spoolie on the end), to fill in gaps, and if you REALLY want to go for it, you could get a brow powder or potted gel. I have more eye brushes and tools than possibly any other types of brushes and tools, because I want a variety of sizes, shapes, and densities. 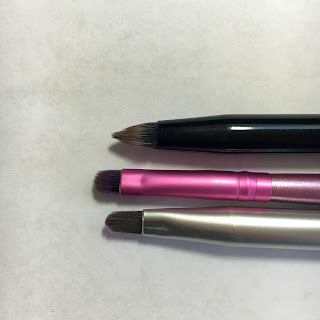 Eyeshadow application brushes should be generally medium-sized, not too fluffy. The point is that they should pick up enough product and then deposit it on your lid without a lot of fallout. If you're applying a cream shadow, you want one that is flat and stiff, not fluffy at all. In fact, a concealer brush would work well for cream shadows. My favorite, FAVORITE brushes are these paint brushes. They are cheap in price, but great in quality. The 3/8 size is my go-to for shadow application, but I also have a 1/4 size handy for applying in small spaces. 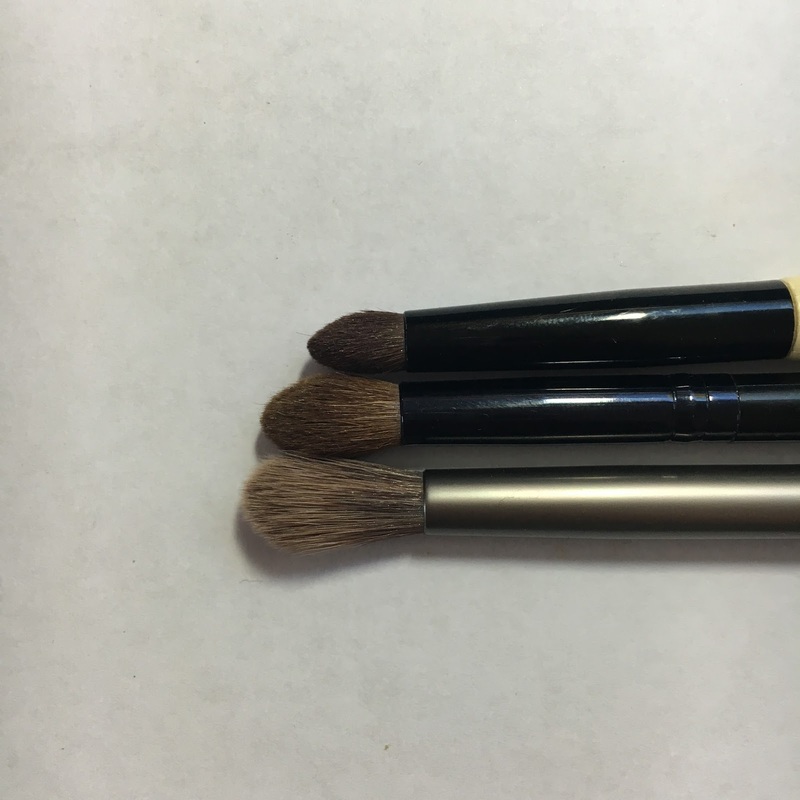 Crease brushes should deposit and blend eyeshadow into your crease. They're generally medium-fluffy and tapered. 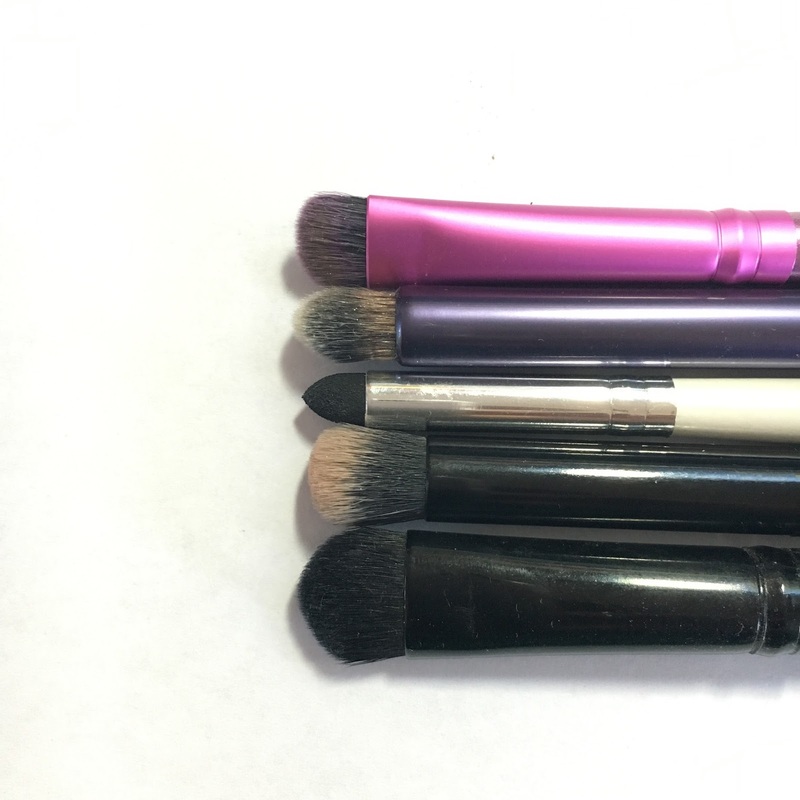 They come in all sorts of sizes and fluffiness, and it depends on your crease. 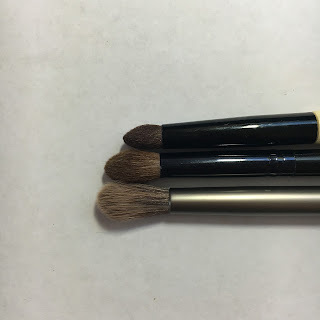 Urban Decay's Good Karma Crease Brush, as well as the EcoTools one linked above, is my favorite for applying my transition color in my crease. 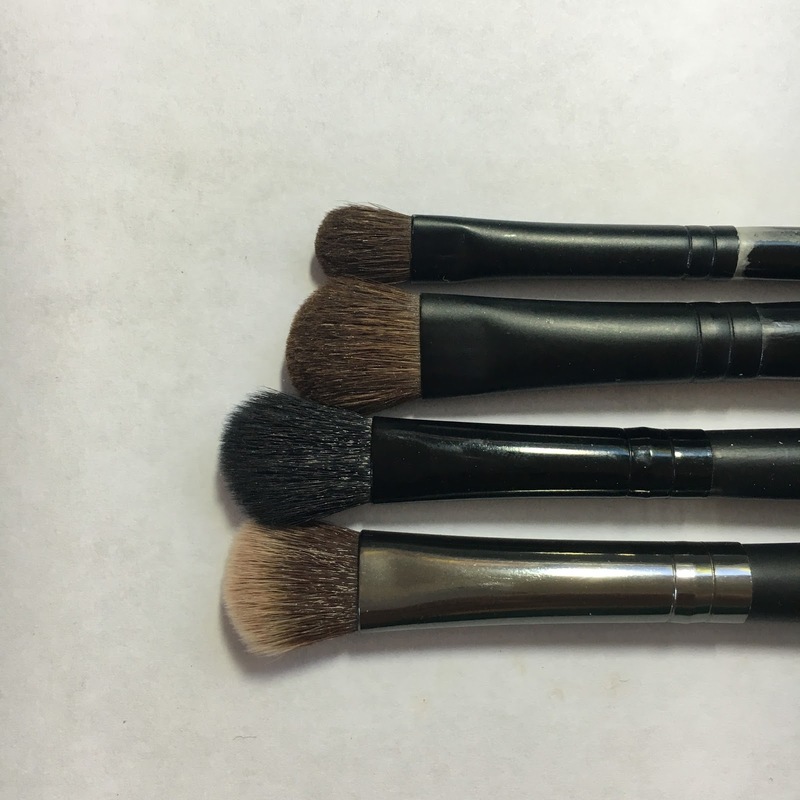 Blending brushes are fluffy, and that's because their job is to move color around on your lid. 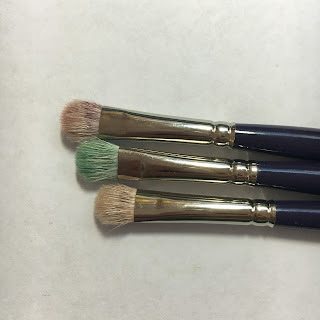 You could also use them to apply color, but the fluffiness will make the color diffuse, which makes these a good candidate for applying a base layer of eyeshadow, because you just want to apply enough to make your actual eyeshadow colors easy to blend. For depositing my base color and just general all-over fluffiness, I like the blender side of this Crown Brush. 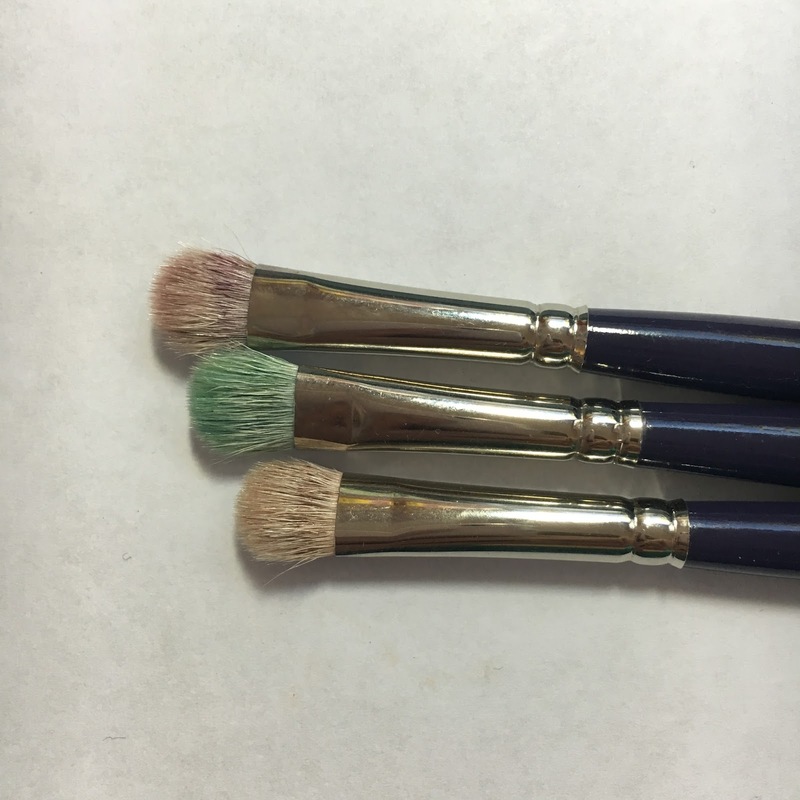 Otherwise, I have different-sized blending brushes that are similar to that one, but maybe they are a little denser or a little smaller. The ones I use are from Sephora, but they came in a set that were sold ages ago. 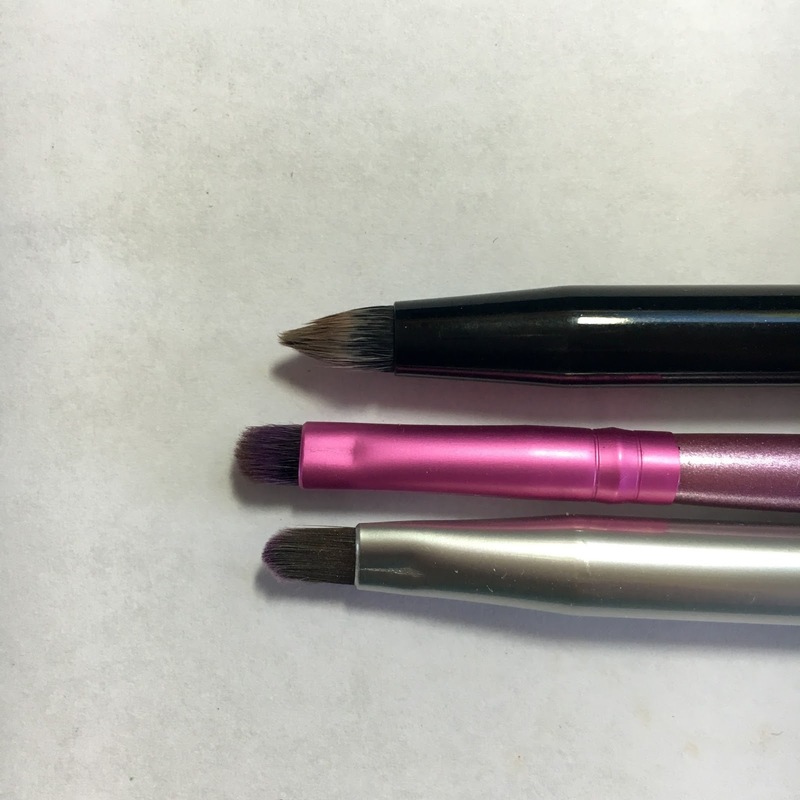 Detail/pencil brushes allow you to deposit eyeshadow in precise places. You can even use these to line. 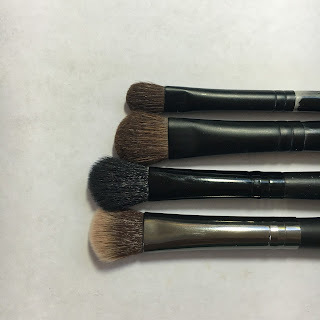 Smudger brushes come in varying shapes, sizes, and densities, but their job is basically to blend a little more aggressively and precisely than blending brushes. These are firm enough to blend out eyeliner if you need it. For my lashes I prefer to use this lash comb, and I use a spoolie, tiny scissors, and tweezers to groom my own brows. So yeah, there is a whole, wide world of eye makeup alone, and to be honest, this was what really drew me to the world of beauty. With every color in the world at your disposal, the sky's the limit.